The life of opera singer Maria Callas in her own words and recordings. 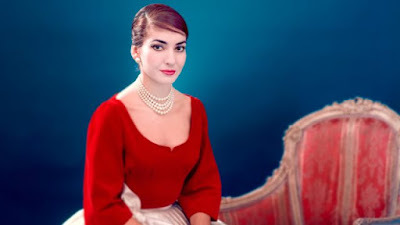 How you react to MARIA BY CALLAS will depend on what you want from the film.If you want a detailed biography of the great singer with all the little tidbit strung together in a perfect package then you are going to be disappointed. If you go into the film wanting to get a general idea of the arc of her career and and to listen to her glorious voice then you will be delighted. This is a wonderful collection of Callas at the top of her game. Aria after aria is simply glorious. If you ever wanted to know why she was so adored this film, especially when seen with perfect sound, will reveal it to you. I was in heaven and I wanted to applaud after each piece. As a biography this film is simply okay. Way too much is left out or glanced over. I understand this is all Callas' words but this film really could have used more details - I mean there is no mention of her siblings, or her mother's disappointment that Maria wasn't a boy and how that set her on the path to musical stardom. I really wanted more, especially since the film runs a solid two hours so there was no reason not to go into more detail. And I do have to quibble with the decision to colorize a some but not all of the black and white footage. While not completely distracting it is annoying because everything is the same shade of yellow, blue and pinkish red. In the end I like MARIA BY CALLAS a great deal but I am disappointed that I didn't love it. While great for what it is, it could have and should have been so much more.